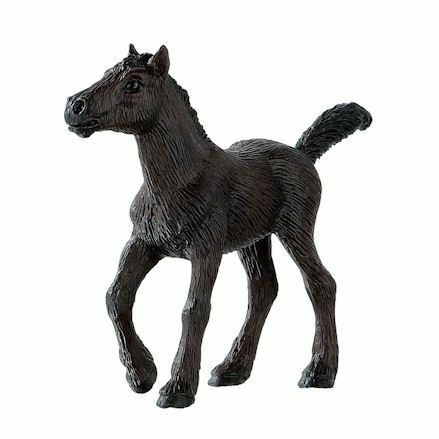 Bullyland are known to be one of the leading producers of plastic toy horses, with each model horse measuring up to a similar scale as those from Schleich. 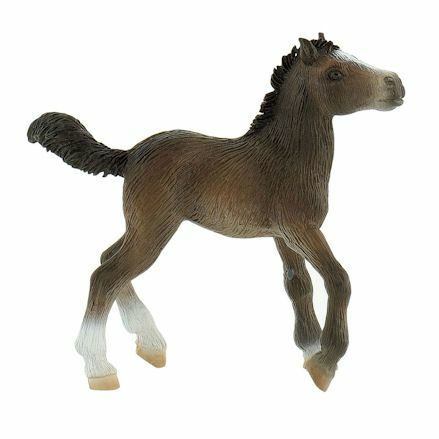 Well Bullyland horses are made from a highly detailed sculpture to replicate real life horse breeds. 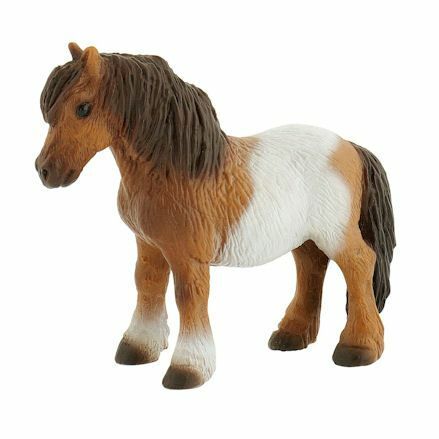 Bullyland have altered each model to produce a horse with childish characteristics making them more appealing to both the younger market and parents alike. 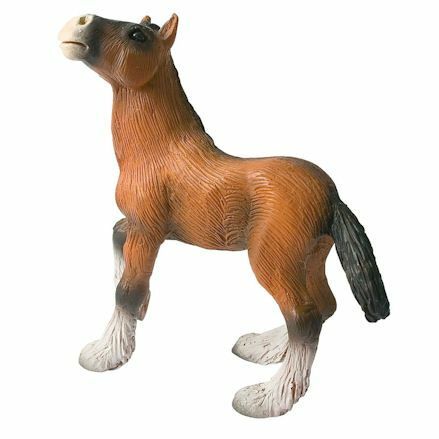 Bullyland horses for sale are made from a strong durable plastic with each and every model horse hand-painted to the finest detail. 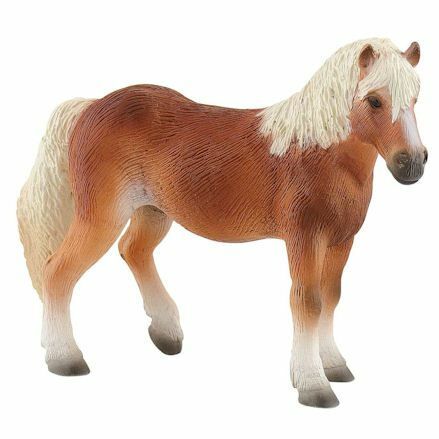 In total, Bullyland toys produce more than 42 horses and ponies from over 21 breeds. 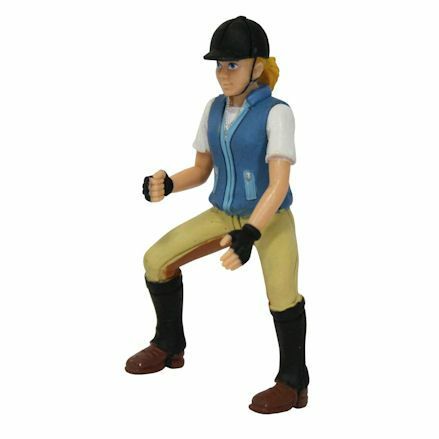 This includes lots of horse riders, accessories and buildings, there's enough here to satisfy the most committed young horse enthusiast. 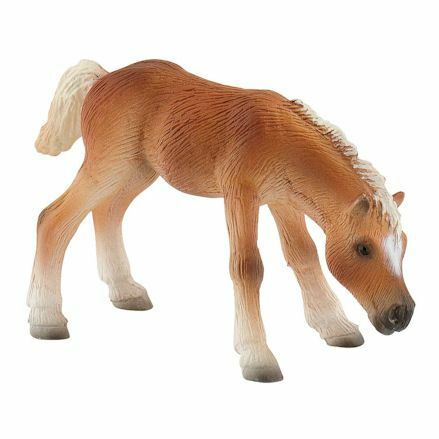 With the Bullyland horse 'Paddock' series, you can expect to find a stallion, mare and foal to create an instant horse family from any breed. 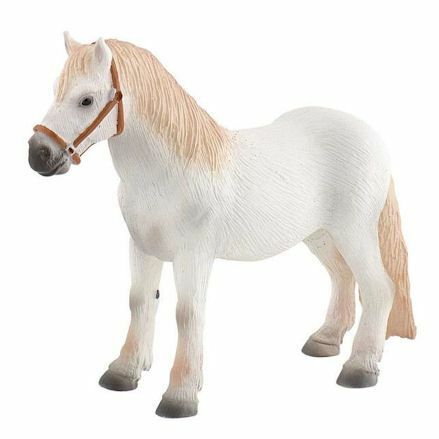 Before you go out and commit with Bullyland horses, it will probably make sense to find out what scale are they so you'll no if they fit in with current horses they may own. 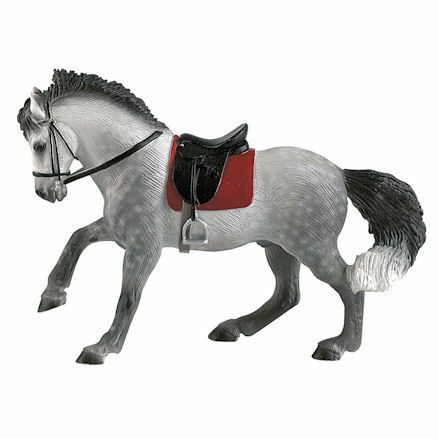 Bullyland are rather a lesser known brand in model horses, and with that they require trust, and this trust comes from finding out all about the range. 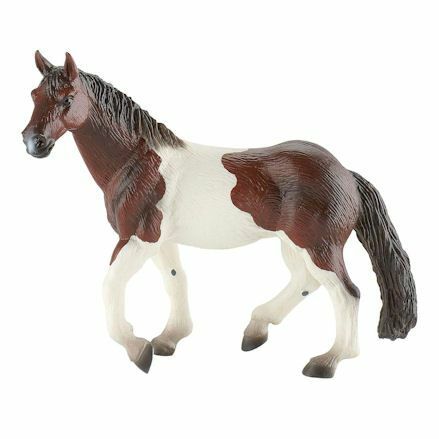 And you'll be glad to know Bullyland are up there with Schleich, Papo and Safari Ltd horses in terms of reputation, and in turn make some of the best big toy farm animals on the market - and all made from plastic. 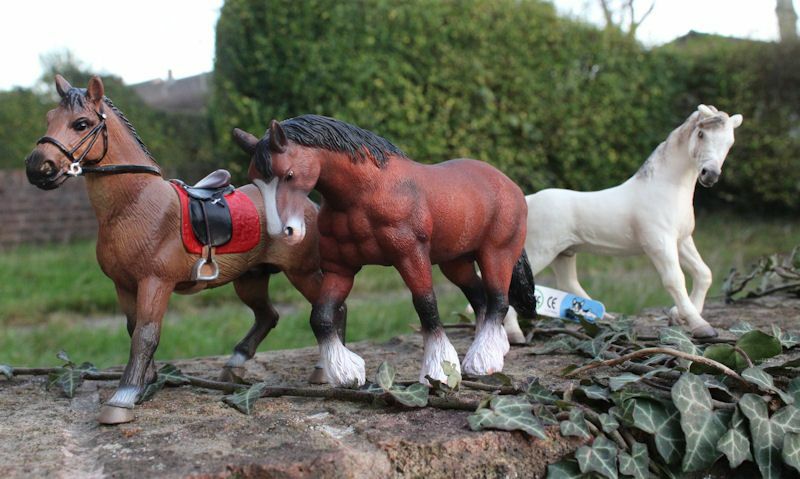 We estimate Bullyland horses are 1:24th scale - give or take a couple of points. 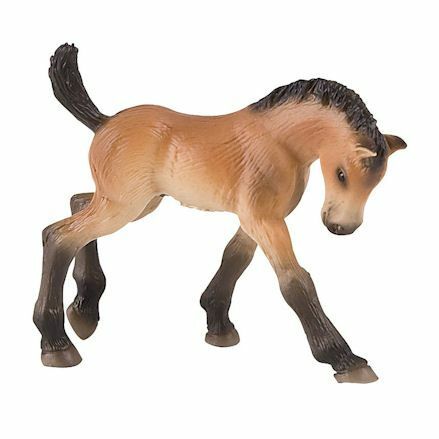 Where there's mares and stallions, there has to be playful foals running around, and as expected, Bullyland have released a number of them too. You'll first notice that most Bullyland foals relate to a mare or stallion of the same breed in the series, so there's an option to match up a foal with the mare or stallion, or both. We've counted eleven foals currently available, they are all in playful poses, and mostly colour coordinated to the adult horse, with one or two supporting there own colours. 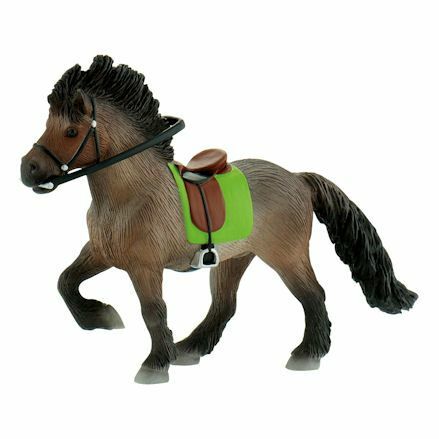 Bullyland foals can only be used as standalone, whereby they play around the mare or stallion, but the can't be ridden so there's no foals with saddles. Arabian foal is a jolly, playful foal right now, but when she or he grows up it will become strong, yet disciplined enough to take riders on treks. Finished in a white coat, the foal matches the adult, minus the tack. If you don't want the Arabian adults, there's plenty of striking white or light tone horses the foal will suite. 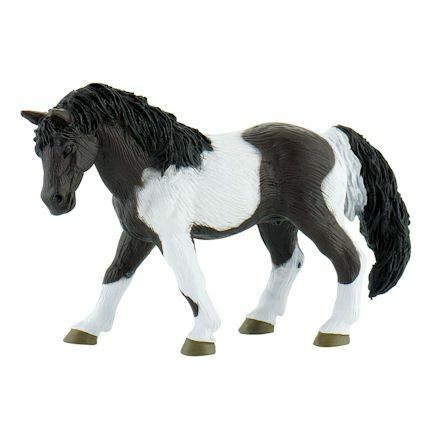 Only Bullyland foal with black coloring, the foal will match the Friesian mare and we highly recommend be bought together, if you require a horse family. There's no stallion to make the set, but the foal and mare will go just as well. Nicely finished in intricate detail, the heads up and tails out - that can only mean play time. What is the Halfinger foal doing with the head down like that? Playing, grazing or just curious around people or new foals. Either way, its a playful foal and will run around the stables playing with others and be taken care of by the Halflinger adult. Just like the Island horse, the foal will likely be allowed to roam free on the Island along with other Island horses. She is not domesticated so therefore can't be used as a pet. Though bare in mind the Bullyland Island horse is wearing a saddle, so she might become trained later on in life. At this stage in life the Knabstrupper foal is white with dark spots and hair. Though still looks ready for play with her tail up. When she's grown up and becomes a mare, she'll look more like the matching Bullyland Knabstrupper stallion with lighter spots and hair. Where there's a Lipizzaner foal there must be a Lippizzaner parent, and there is, only the two do not match in color. Well the adult version is a rearing white horse, this foal is finished in brown and will fit in more with say a Friesian, Hanoverian or Clydesdale horse. Once again there is a Palomino mare to take care of her, raise her and play with her out in the pastures and in the stables. The mum is kitted out to take riders for a run, and the foal will be waiting for her in the stable for the return. 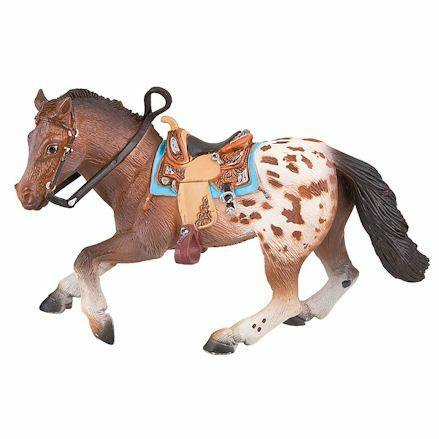 If you don't already own the Bullyland Quarter horse mare, then why not pair her up with this matching Quarter foal. They will both have the same coloring of brown and white, and well mum is standing up and watching out, the foal will play around her, staying by her side. 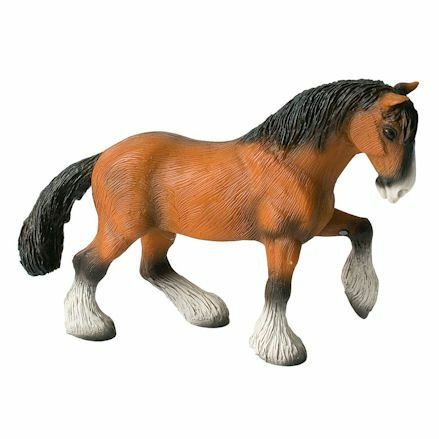 When Shire horses are fully grown they become quite disciplined, so make the most of this Shire foal as he plays in the stables and on the pastures. 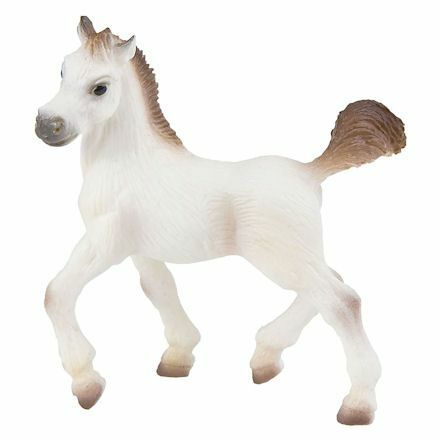 If you're familiar with the Bullyland Shire horse adult, then this foal has the exact same coloring, with a youthful look and feel. This Trakehner foal is raised along with the Trakehner stallion. Usually its the mare that accompanies a foal, which in this case its the male. Positioned in a playful pose, she's finished in a nice, light tone with lighter shades and darker legs. Facing down, she could be playing with a sibling. 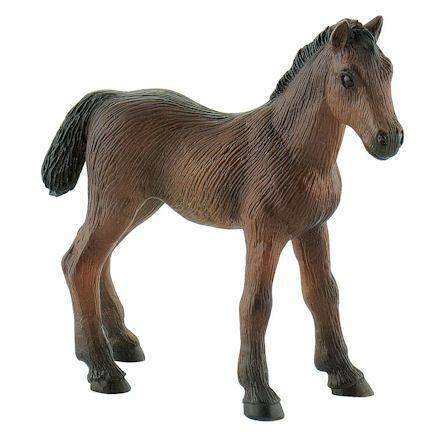 Unfortunately for the Westphalian foal, he stands alone in the series with no parent mare or stallion to look after him, so its your job to match him with a suitor. Taking into consideration his colouring, why not pair him with the dark Bullyland Friesian, Hanoverian, and even the Clydesdale horse. 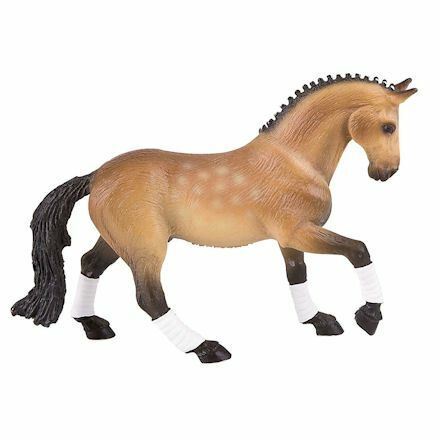 There's up to ten Bullyland horses you can sit a Bullyland horse rider on within the current series, from trotting poses to rearing and running positions. 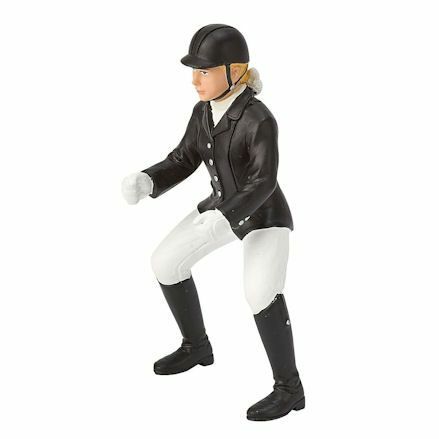 Its not difficult positioning a horse rider onto the corresponding horse, in fact all you need to do is make sure the rider is fully sat, with legs straddling the horses sides. This will result in a the horse riding figure becoming wedged, providing a tight fit. The figure will stay put during play, and can very easily be removed any time. You'll need a rider to suite the occasion, so there's couple just for pleasure horse back riding, there's professional dressed tournament rider and even a cowboy. Nina is an experienced Bullyland horse rider and been in the series for a very long time, during which she's equipped to ride all the horses saddled up ready. 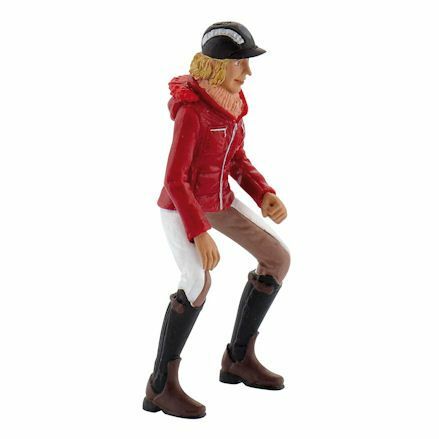 Dressed in a safety hat, jodhpurs and boots, she canl ride in the stable yard, through the country side or take a ride out in the pasture. Isabelle doesn't just ride horses for fun, she is serious about getting into the next olympics and is training hard using a Bullyland horse. She's dressed for the occasion and requires a well disciplined horse, though she needs to train it for eventing shows she regularly attends. Young Julia will be suited to horses that are well trained and willing to take on a new rider visiting the stables - because that's who Julia is. 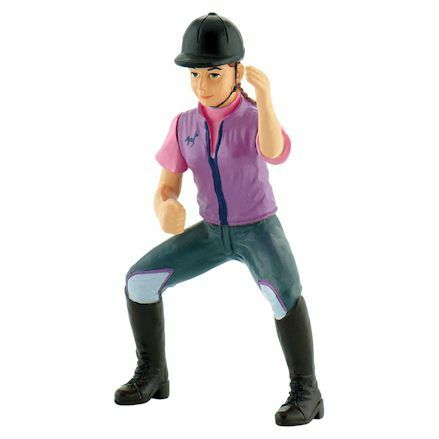 She's a new rider but Bullyland have you covered with lots of horses suited to her. She's positioned to ride but with one hand waving to her parents as she rides by. Edith is probably fitting to ride all horses in the range, and is experienced enough to ride the most tamed horse to the most challenging. There's nothing you need to do to fit Edith to the horse, just pop her on over the saddle (also with horses without one) and away she goes, just riding the horse for fun. Rider Mike is probably not suited to ride most Bullyland horses, due to the way he's dressed, just like a cowboy. Though don't dispair, Bullyland have thought things through be releasing him with a matching country western style horse, fully equipped to get ridden by Mike. 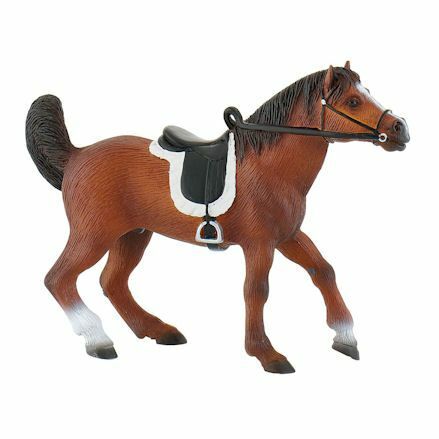 Bullyland produce a fine range of toy ponies and can be used as a riding pony for children because it has very good endurance. You can use your Bullyland pony to take kids for rides up and down the beach, on the farm or keep them as your adorable pet. Short and stumpy, they are only half the size of a regular horse. This is all in the imagination mind you because Bullyland ponies don't have saddles, therefore don't have small, child horse riders to fit - and the adult figures are to big. Instead, treat the ponies as pets, keep them in a stable and let them graze on the field, and they will be more than pleased to hang with the foals. Originally from the German state of Mecklenburg-Vorpommern, with the land covered in flat pastures and farmland, fish ponds and occasional woodlands. And understandably why the Lewitzer pony comes from such a place. Add to that Bullyland are German company, so its only natural for them to release German breeds. The most well known pony breed there is, so its only natural Bullyland bring it to life in their series, and a sweet looking one it is too. 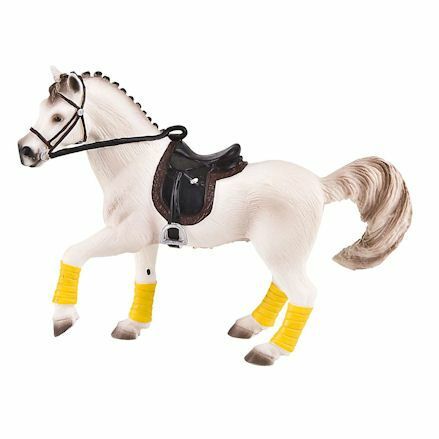 Shetland ponies have been providing rides and entertaining British children for a very long time, now they can do it in toy pony form. 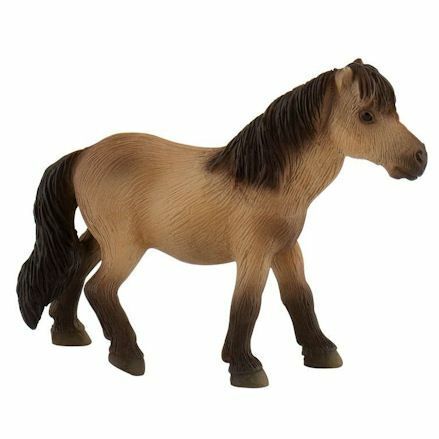 The Falabella is not consider a pony, its actually a miniature horses. But here it is in our Pony addition - so maybe we should consider moving it? But for now, you can treat it just like a pony and will do all things ponies can do, though at a greater speed. Its a lesser known breed, with Bullyland bringing them to our attention. The Norwegian is one of the pony breeds. 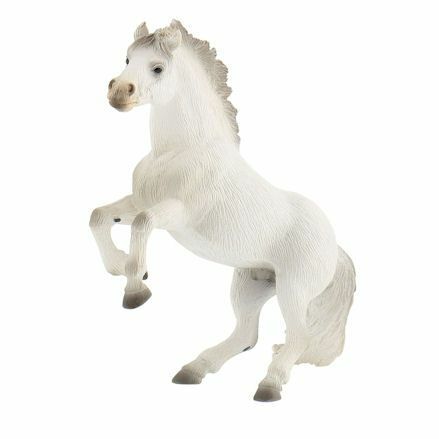 It is famous for its patience, strength and good character, its a small horse but can be ridden by the Bullyland riders. It has a calm temperament, which makes it a very reliable and ideal horse for children, well the the Norwegian's coat colour is dun. 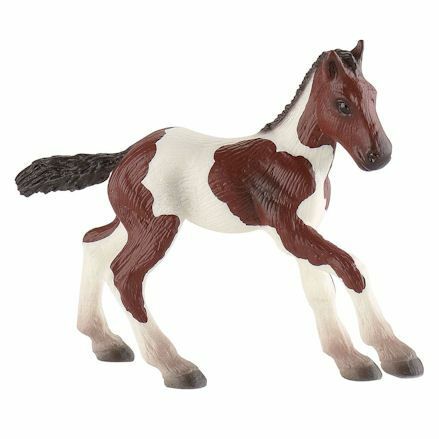 Bullyland mares and stallions make up the bulk of the 'Bullyland Paddock' series, with more than thirty toy horses making up the collection. 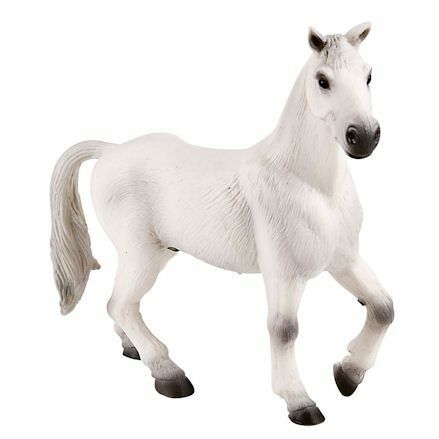 There's a Bullyland horse released that represents most popular breeds with children, with half supporting a saddle and tack. Most are positioned differently; rearing, gelding, walking and running, but will stand up right during play around the stable or in the field. 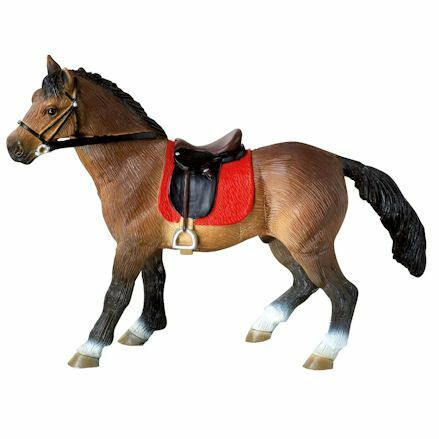 Where there isn't a saddle present, the horse rider could still sit on the back with ease, but we do recommend matching up a mare or stallion together, along with the foal. Andalusier are a horse bred in Spain. The Spanish horses are known as 'Andalusians', with Andalusia located in the south of Spain. Most Andalusians have a classic grey colour. They are rarely sable or brown, although these are very popular. 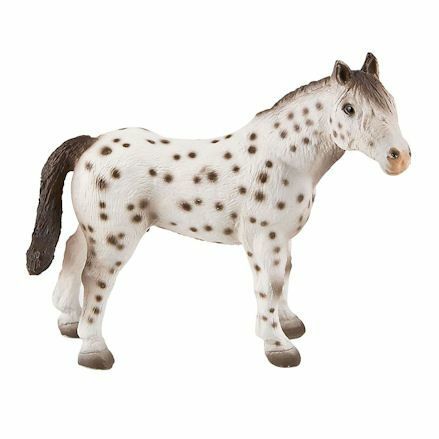 The Appaloosa has an unusual pattern. Single-coloured Appaloosas do not occur and there are six different patterns. Appaloosa horses are popular in western shows and used in leisure riding. Presently, they're are the most popular breed of horse in the United States. Similar name to the Arabian release, only this one is vastly different thanks to him being finished in a brown with darker shading. 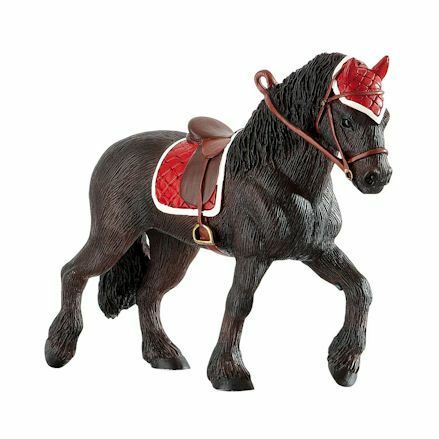 He's ready to ride with tack fitted, and will go well with any Bullyland horse rider, but will suite the Tournament rider best, as its dressed to impress. The Arabian is one of the oldest thoroughbred breeds and today it's a very popular horse for leisure. It is very capable of learning and is very affectionate. Its good endurance is particularly appreciated. Because Arabians are very sensitive, they are hardly suitable for beginners. 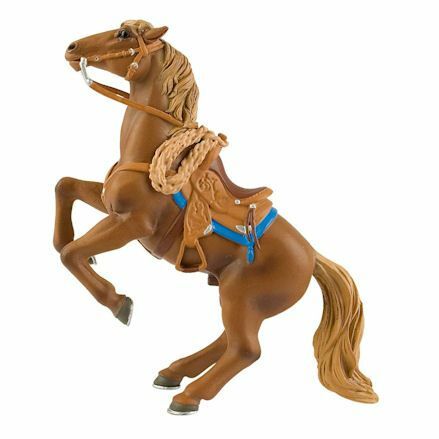 Something Bullyland have done differently with the Paddock series is included a horse for western roleplay, and as she's dressed with a saddle, she can be ridden. 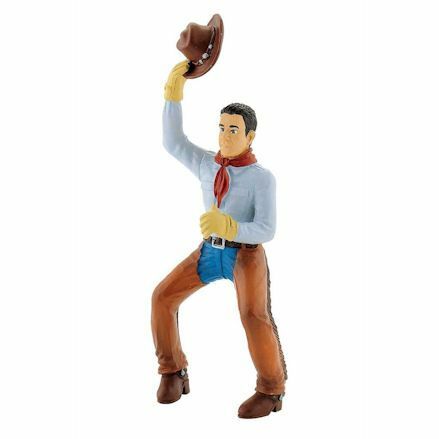 And only a the Bullyland cowboy is suited to the job and is available in the 'riders for horses' collection - as featured in the series we've put together above. She originates from Friesland in the Neatherlands and resembles a heavy horse, used during the war and used for farming during the times. The breed allowed knights to ride Friesians in the Middle ages, so therefore will make great ridering horses today, and so she is, as she's already dressed with a saddle. 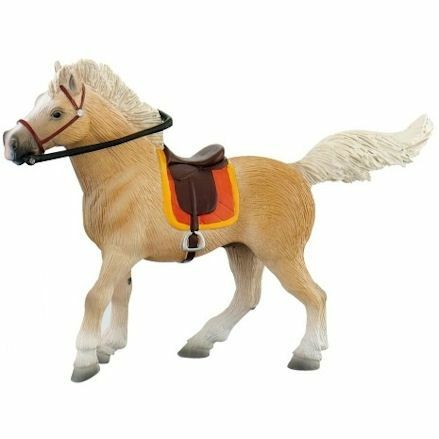 The Haflinger horse breed is a mountain horse, which today is used as a robust horse for leisure riding, with Bullyland finishing her in a soft tone with light colors. If treated correctly, Haflinger are very willing, good-natured and strong-nerved animals. They are also sure-footed and can be used for a variety of tasks. The Hanoverian horse is one of the world famous German warmblood breeds. They tend to be powerful, docile, well-balanced, reliable and sporty. These are traits that strengthen their discipline in equestrian sports including dressage and jumping - they are known as outstanding jumpers. 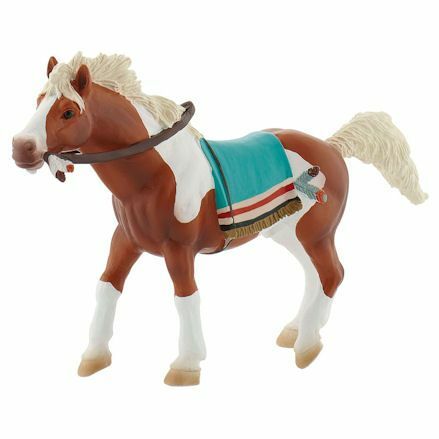 There's no fixed breed on this Bullyland Indian horse, it can be a mare or stallion but well its doesn't look like a saddle, the blanket over it acts as a saddle. The Indian can be used to round up cattle, pull the cart or used as a pet. But make sure a rider comes with the horse to make the most of the tack its already wearing. Sable Island horse (also known as a Sable Island pony) is a small wild horse that lives freely on Sable Island - hence the name. Bullyland's version is not quite wild though, in fact its fitted with saddle so therefore its a domesticated Island mare, ready to be ridden at full speed. This horse is an old Danish breed. 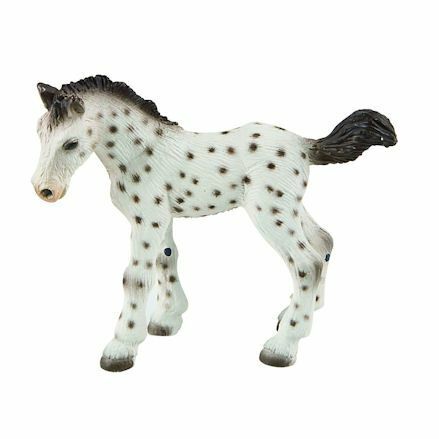 What makes these horses special is their unusual design and colour with Bullyland chosen to finish it in white with lots of spots. You often see these horses in the circus, as they are easily trained. They are also used often as a show horse and in dressage including driving and leisure rides. The Lipizzaner is one of the most famous horse breeds. Because of its use in classical dressage, everyone recognises it. A special feature of the horse is its toughness and endurance. It has a very lively temperament, but is always friendly and balanced. This horse was named after its main breeding area of Oldenburg in northern Germany. The Oldenburg is a worldwide popular sport horse. The coat colour is usually brown. There are occasionally bay and grey, but chestnut colours are rare, and usually have white markings on the head. 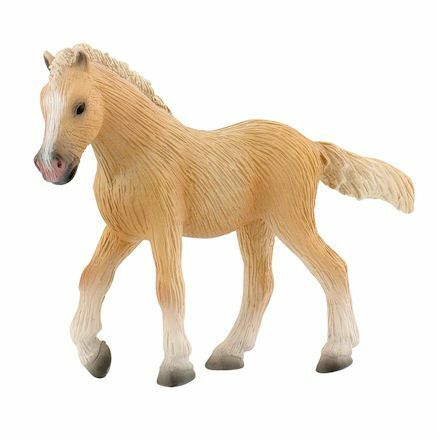 You might say this is a perfect replica to the real life Palomino, this mare has a gentle, light toned coat with a silky finish - a trait often seen in the Bullyland toy. 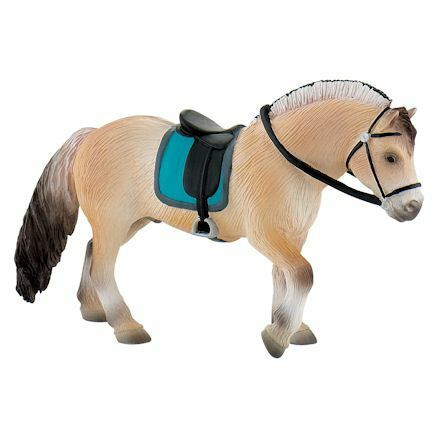 And like all horses with a friendly personality, she's fitted with a colorful saddle to take on riders, and well not useable, also features a harness and stirrups. The Paso Fino is a South American race. They have a particular gait, from which they take their name, and which is in turn also named after them. Paso Fino means 'fine step' in Spanish. The breed dates back to horses imported to the Caribbean from Spain. The Paint Horse is mainly used by cowboys for ranch work and at the rodeo. Even as a leisure horse, it is well suited. It is extremely intelligent, honest, good-natured and totally reliable. They are also known for their friendliness. In general, the Paint Horse has a very balanced character. The Shire horse's coat colour is usually bay and brown. 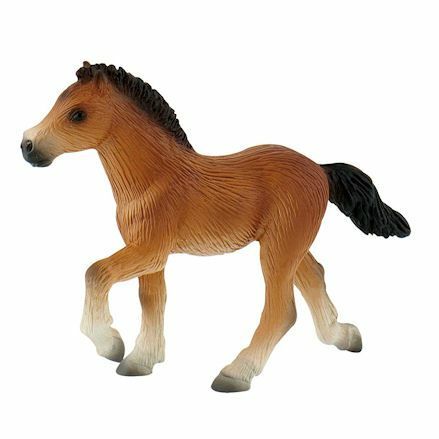 Markings are visible on the head and legs, well this is clearly seen on the Bullyland replica. Since they are heavy and have lots of muscles, cold-blooded animals can do hard work. The breed has an enormous capacity for weight pulling. The Tinker is known as a good workhorse because it has strong muscles. It can carry a load of more than 1,000 pounds, twice as much as its weight, for a very long time. Also known as a Gypsie horse, the breed originates from the British Isles. 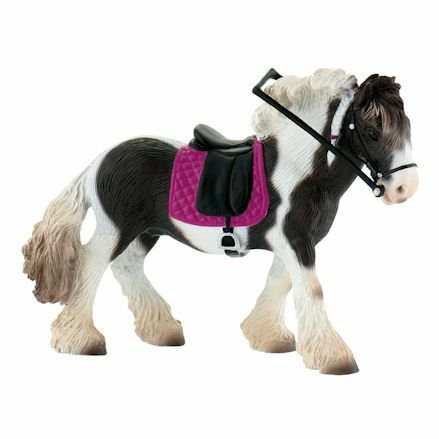 All tacked up, this Bullyland Tinker is ready to be ridden by one of the many horse riders available. The Trakehner is known for its fast learning and its strong will. Its high performance makes it suitable for all types of riding. The Trakehner is the oldest German warmblood breed. the Trakehner horse breed can be used for riding as well as for heavy work.